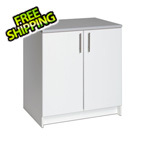 This slim cabinet combo set has no fixed center shelf, making it ideal for storing brooms and other tall items. 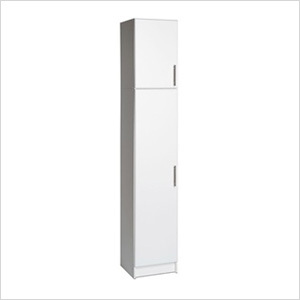 With more room for storage thanks to the extra four inches of depth, the cabinet also includes two adjustable shelves for holding smaller items. The addition of the 16 in. 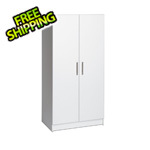 Stackable Wall Cabinet on top provides a total of 89 vertical inches of storage.